• The LIFEPAK CR Plus AED defibrillator is specifically designed for the first person at the scene of a sudden cardiac arrest. 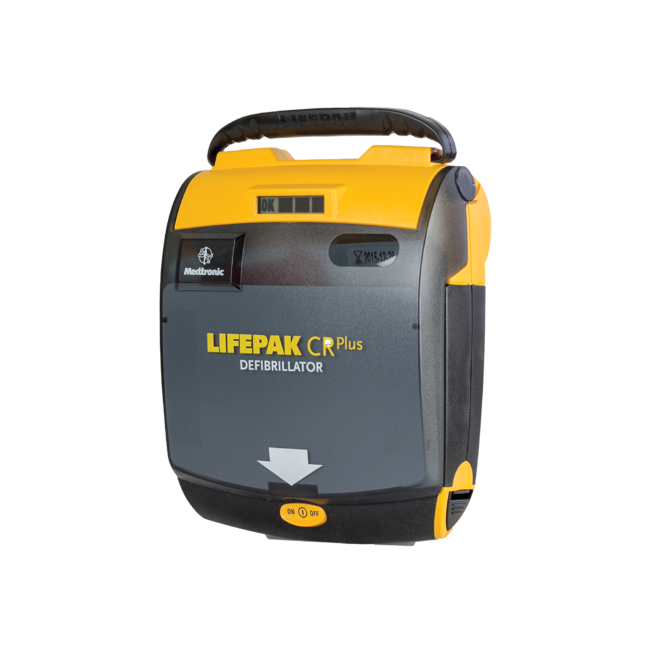 • Designed for the minimally trained and infrequent rescuer, it is easy to use and understand in a cardiac emergency, where time is of the essence. • Fully charged, the built-in rechargeable lithium battery can deliver 30 shocks and up to 210 minutes of “on time”.